You have accepted the calling to become a nurse. Nightingale College is honored to be a part of your educational journey. But how did you get here? Chances are we were not the only school you considered. That’s cool, we’re not the jealous type. Or maybe that day never came. But none of that matters now. You are here. You did it! 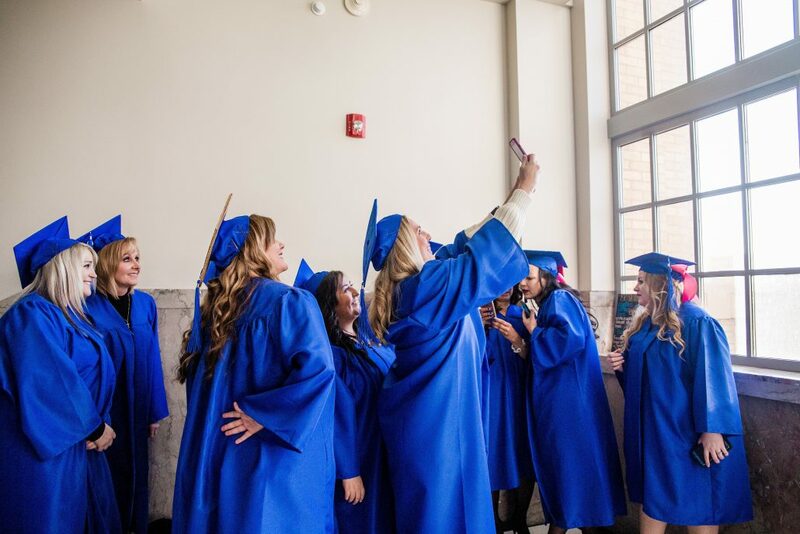 By the end of our program, once you have completed your coursework, exams, experiential learning, and all the other steps necessary to graduate, you will hold your head high as you march across the stage, shake your professor’s hand, and grasp the nursing degree you so rightfully earned. Whether your next step is working in the nursing field or going on to further your education, we’re here to support your success as we have for over 600 RN’s before you. Many of our alumni have pursued a bachelor’s degree or master’s degree in nursing at schools such as Westminster College, Idaho State University, and Western Governors University, just to name a few. Nightingale College is institutionally accredited by the Accrediting Bureau of Health Education Schools (ABHES), a national accreditor recognized by the U.S. Department of Education. 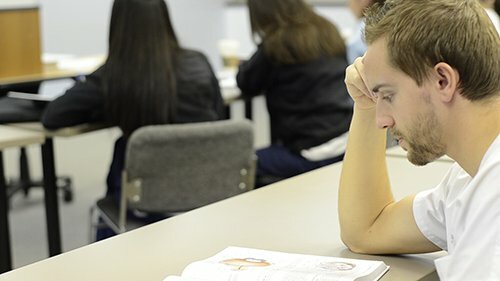 Our Nursing programs are programmatically accredited: The Associate Degree Nursing Program is accredited by the Accreditation Commission for Education in Nursing, Inc (ACEN) and our Bachelor of Science in Nursing Program at Nightingale College is accredited by the Commission on Collegiate Nursing Education (CCNE). Each educational institution sets its own transfer of academic credit policies. Some institutions only accept credits from regionally accredited institutions. In addition, some programs only accept credits from other programmatically accredited education programs. Nightingale College is here to facilitate YOUR professional growth and development, even if you choose another school’s program. We back your dreams regardless of which path you choose to take. Flame! Forward! Nursing school is stressful. There is no shortage of homework for any ADN or BDN program. Take a break for some comic relief and get someone to provide you a few of the words below for some nursing-themed hilarity. 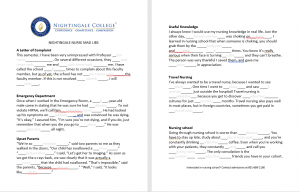 View the nurse-themed Mad Libs here. Are you interested in a blended-distance ADN, BDN, or RN-to-BSN nursing program? Request more information here. There are few things more inspiring than watching learners become registered nurses. There’s a distinct hush in the audience as they move their tassels. There is the normal feelings that accompany graduation – the feelings of pride, accomplishment, and self-mastery, but there is something more. It’s a knowledge that these 68 learners are joining such a noble profession, a profession whose members will bring comfort and healing to all of humanity. It’s a realization that, at some point, these very nurses could be standing over you as you lay sick in a hospital bed. It’s both humbling and awe-inspiring. Moving the tassels, however, is one of the last steps of the event. The event begins with a very different atmosphere – the faculty and graduates enter the room, amidst cheers, whoops, and whistles of those who have come to wish them well. Then comes the faculty and learner addresses. This year’s faculty address was given by Carrie Leone, an assistant professor in the ADN Program. She spoke on the power of positivity and avoiding fear. “The feeling of fear and the feeling of excitement are the same feeling,” she said. “So you can choose. 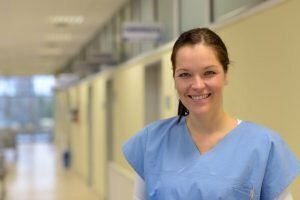 Do you want to be afraid, or do you want to be excited?” She explained that in nursing, there are many situations that will take a nurse by surprise, and in that moment, they can choose to learn, or choose fear. What a great message! Watch the video of her speech below. 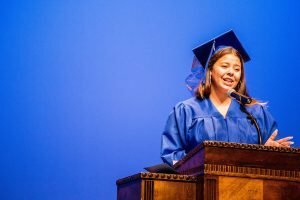 The learner address was from spotlighted learner Jennifer Coffield, who was filmed in the documentary “The Bad Kids,” and who overcame extreme odds to complete high school. 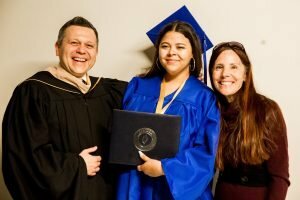 President and CEO Mikhail Shneyder saw her story on the film, and, with approval from the board, offered Jennifer a full-ride scholarship to become a nurse at Nightingale College. Watch the trailer for “The Bad Kids” below. Next on the list, the graduates received their nursing pins from those individuals who had a profound effect on their nursing journey. 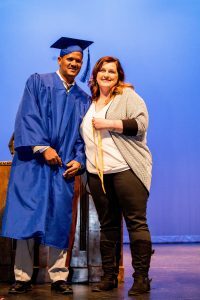 This person is usually a family member or spouse, but in the case of Dawit Ghabritzi, a refugee from Eritrea, Nightingale admissions manager Stacie McVay was the one he chose to present him with this honor. McVay who was his advisor and motivated him to enroll. “She changed my life,” he said. It was a special moment. The lighting of the lamps was next, a reverent ordeal in which the Nightingale graduates light each of their lamps to symbolize the lamp that Florence Nightingale tirelessly carried to and from each sickbed. They then repeat the Nightingale Pledge. Brian Beach was recognized as the class valedictorian this semester for achieving the highest score on the Level 4 Exit HESI. The Nightingale College awards were also presented. Maranda Nelson, Karlie Laub and Anona Mikelson received the Community Fellow Award for their dedication and service as volunteers. Rebecca Moulin was presented with the FLAME! FORWARD! Award. The FLAME! FORWARD! Award is given to learners who have gone above and beyond our expectations. 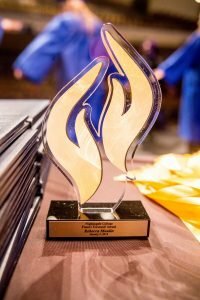 Faculty members nominate students for the FLAME! FORWARD! Award when they feel a learner exemplifies all the seven values of the college. The big event, the procession and reading of the names, was done with roaring applause from the audience. 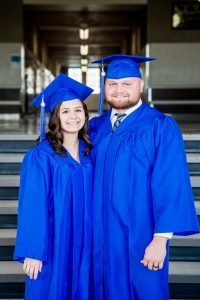 This process was done alphabetically, which means that husband and wife Wyatt and Hailey Argyle were called in succession. Cheers from their family filled the hall when Shneyder announced their names together. In-depth feature stories about spotlighted learners will be released soon. We are deeply honored to have been a part of these nurses’ journey. 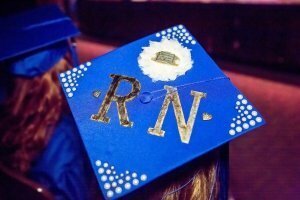 Congratulations, nursing graduates, and we hope to see you again in our RN-to-BSN Program! Yes. Nightingale has met the needed standards of quality that an accrediting body has put its seal of approval on our school and programs. Nightingale College is nationally accredited through ABHES, a health care education accrediting agency. Each of our programs is also programmatically accredited. Our ADN Program is accredited by the ACEN, and our RN-to-BSN Program is accredited by CCNE. Why do schools need to be accredited? The Department of Education’s website reads, “The goal of accreditation is to ensure that education provided by institutions of higher education meets acceptable levels of quality.” Accreditation simple proves that the institution has met all requirements necessary to run a successful educational program as determined by the accreditor. What types of accreditation are there? When picking a school, the type of accreditation matters depending on what your plans are. Regionally-accredited schools sometimes only accept credits from other regionally-accredited schools, so if your plan is to continue your education, regionally accredited schools could be your best choice. However, these schools tend to have long waitlists for programs, and are very competitive to get into. Nationally accredited schools are ideal for quick entry into the workplace because they are less competitive and have fewer and shorter waitlists. However, these schools do tend to be more expensive. Why do accrediting agencies have authority? Just as Nightingale has to uphold certain standards to be an accredited nursing school, our accreditors have to uphold certain standards to be accreditors. There are many different accrediting agencies, and they vary in quality. To make sure you have a reputable accrediting body backing your school, make sure that the school is listed in the Department of Education’s database of recognized accreditors. To access that database, click here. Do employers accept degrees from unaccredited schools? Often, employers will not accept degrees from unaccredited schools because there is no way to verify that the education you obtained is of high quality. It takes a lot of work for schools to meet all the standards the accreditors have set. Think about it this way. We eat foods that have been approved by the U.S. Food and Drug Administration. When foods aren’t approved by the FDA, we have no way of knowing if the food could possibly be harmful to us, or be rotten. It’s the same principle with accreditation. Accreditation gives employers a clear indicator that your educational institution met certain quality standards and is reassurance that you didn’t receive a “rotten” education. What happens to current students when a school loses its accreditation status? When a school fails, current learners have the most to lose. When a school loses its accreditation, many times they cannot afford to pay back the learners. As a result, learners are unable to complete their education. Many learners will begin to look for accredited programs elsewhere, decreasing the school’s enrollment (and ultimately, reputation). The Colleges and Degrees website explained “This is because most colleges and universities operate like a business, and you invest into this business by paying for your education. If your school goes bankrupt they cannot afford to refund any money, and your investment is just considered a loss.” They also emphasize that learners cannot transfer their credits from a now-unaccredited institution to an accredited one, which is why it is so important to pick a quality program from the start. Past learners, who graduated from a then-accredited school, can still say that they graduated from an accredited institution. When selecting a school and program to attend, research the institution’s accreditation status and history. It may unfold important information that will help when deciding which school to attend. How can I make sure my school is accredited? There are two steps to making sure that you’re attending a quality school. One, make sure that your school is actually accredited by who they say they are. Go to the accreditors’ website and make sure that you can find your chosen school listed under their accredited programs. Second, go to the Department of Education database linked above to verify that the accreditor is legitimate. Attending an accredited school and program is the first thing prospective learners check when searching for the right school, and it is the right first step to take after determining what program is of interest. Remember, accreditation is the quality seal that can make or break your educational experience. Spend some time learning about accreditation to help make the right school decision. 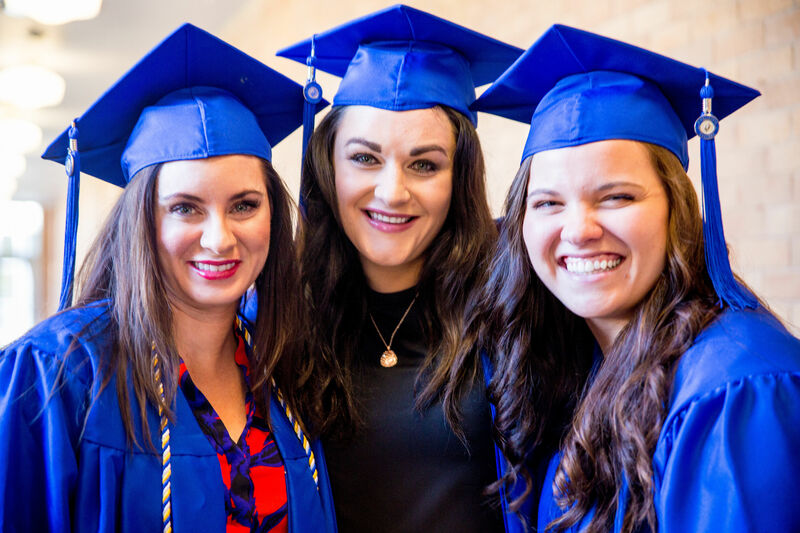 Nightingale College offers two accredited nursing programs, the ADN Program for those ready to jump start their nursing career and the RN-to-BSN Program for licensed nurses looking to advance their knowledge and skills. How do I keep my self-esteem up when nursing school is so hard? Nursing school is hard. It’s meant to be hard. We wouldn’t want to be cared for by unprepared nurses, so at Nightingale, we strive to teach nursing learners to be prepared. It’s no secret that nursing school is a lot of work for learners, and, if they aren’t performing as well as they would like, this can lead to low self-esteem. Why is it important to have a healthy self-esteem? Learners can sometimes feel like they’re not good enough, not strong enough, not awake enough, not smart enough, or not patient enough to become a nurse, which ultimately can injure their self-esteem and academic performance. But do you know what is more stressful than nursing school? Being a nurse. In school, you take the class, get the grade, rinse and repeat. As grueling as school may be, in the workplace you’re dealing with people’s lives. This is why it is important to set a pattern of healthy self-esteem early in your nursing education, so that when time comes to move into more stressful situations, your self-esteem doesn’t hold you back. Have you ever heard a little whisper saying you’re not good enough inside your head? Do you get especially down on yourself after an exam, and maybe have trouble making the feeling go away days or even weeks later? Here are some tips you can try to increase your self-esteem in school. Make yourself a checklist of achievable tasks. Have a lot of things to do today? Write them all down. Clinicals, homework, discussions…even getting coffee, no task is too small for this list. Put a nice square checkbox by each one, and check it off with a red pen when you’re done. At the end of the day, you can look back and see all the things you have accomplished. Plus, it feels really good to check boxes. assignments, and the schedules that are respective to each class. Surrounding yourself with people to encourage you will help you stay positive about your academics. Annie Dilling, the Summer 2017 valedictorian, said she uses small groups to be able to teach the content, because that’s how she learns best. She said if those aren’t available, she uses her husband as her guinea pig. Whenever you think a negative thought about your achievements, think of something that you have accomplished. Replace the thought, don’t just push it away. Pay special attention to the thoughts that are broad and negative. If you’re having thoughts like “I’m an idiot” after a low score on a test, realize that you are generalizing. It is okay to accept that you may not be the best at one thing, but don’t let those thoughts broaden to everything. Once in awhile, do something a little outside your comfort zone. If you don’t achieve it on the first try, try again. Challenging yourself can expand your horizons and your capabilities. By increasing just a little each day, imagine what you could accomplish over a semester. It is easy to think of things that are hard, the things that frustrate us, make us look bad, or catch us off guard, but we also have to remember those things that are going right. So you might not have straight A’s, but you are in school. You have your health. You made it this far. Think of the things that are going right in your life too. Sometimes low self-esteem is a result of comparing yourself to others. Make sure to remind yourself that no one is perfect. Everyone makes mistakes sometimes. Everyone has weaknesses. Everyone is miserable at math (well, most of us anyway). It will do you no good to hold yourself to an unachieveable standard. One of Nightingale College’s Values, Respecting Humanity, is defined as “A commitment to honoring and accepting every individual.” That includes yourself! Respect your own humanity, and realize that you will never be perfect at everything. We all come with strengths and weaknesses, and to be prepared as a nurse, we need to accept them. At Nightingale College, we enjoy celebrating the success of not only our learners and collaborators, but of our DDC Partners. DDC Partner Monte Vista Hills Health Care Center, located in Pocatello, Idaho, received the prestigious Ensign Flab award. The Ensign Flag award is given to a facility within the Ensign Group that excels within a variety of categories. The categories that a facility is scored in are clinical outcome, quality measures, customer satisfaction, employee satisfaction, regulatory inspections, compliance audits, financial performance, and cultural contribution to the organization. Nightingale College is honored to be associated with a health care facility that goes beyond self to serve the community, patients, and employees. To view the official media announcement, visit the link http://www.prweb.com/releases/2017/03/prweb14118409.htm. How do you find the time to study when holding down a full-time job? After a long day at work, studying is probably not the first thing that comes to mind. Many learners who are in this boat share how unfocused they are when studying. Some have even mentioned how unmotivated they are to really understand the concepts and rush through studying. It soon becomes a game of remembering concepts just so it can be regurgitated back on the test and then forgotten. That is not the way to study or learn, and will do you more harm than good. So much time and effort goes into your education, so don’t do yourself an injustice and slide on through nursing school. Nightingale College announces its partnership with the National Rural Health Association (NRHA) for a second year. The College joined the NRHA in 2016 as a Pipeline Partner to help improve health care in rural communities. Unlike their urban counterparts, rural Americans face challenges that limit their access to health care and health-related educational programs. To fulfill its mission of “creating pathways to educational and professional success” and “elevating health care,” the College renewed it partnership with the organization for 2017. The College, as an NRHA Pipeline Partner, offers its full-distance Associate of Science and Bachelor of Science in Nursing Degree Programs to rural areas, providing a continuous pathway for health care facilities to recruit, retain, and support homegrown registered nurses. Nightingale College looks forward to continuing to assist rural health care facilities fight the nursing shortage and lack of educational opportunities. With the collaborative efforts of the College and its partners, rural communities can provide advanced education to licensed registered nurses, and educate and graduate locally trained nurses who are ready to serve their community. Nightingale College is excited to serve rural America, its health care providers and residents in the upcoming year. View the College’s efforts on the rural landscape through the Dedicated Distance Cohort (DDC) site by clicking here. Learners in Ogden get hands-on experience with one of Nightingale College’s simulation mannequins during their nursing school lab experience. As you prepare to get back into the flow of school and prepare for new learner orientation, it is easy to underestimate all the activities that are involved in nursing school. Besides logging in to your class lectures online, on-ground labs and clinicals are part of the course. Prepping for the online portion of classes is not very complicated; however, preparing for nursing school labs and clinicals can throw you off guard. What is to be expected? Fortunately, you are not the first learner to ponder the question of what to expect your first day of simulation lab. Nursing school centers around learning how to manage and monitor patients’ health, which comes with developing the necessary skills that go beyond lectures and class discussions. Simulation lab helps learners practice real-world situations on low-, medium-, and high-fidelity mannequins with the guidance of an instructor. It is the opportunity for learners to practice hands-on patient care in a safe environment to learn about taking the proper action when the patient’s health takes a turn for the worse. As intimidating as it can be to realize you are going to be learning how to manage someone’s health, stay calm and realize that the hands-on instruction you are learning is crucial to developing the skills and knowledge that are required to take care of a patient’s well-being. It is important to take simulation lab very seriously and imagine yourself working on a real patient as opposed to a mannequin. Instructors will sit back, analyze you as you practice specific skills in treatment, and be attentive to the actions you take to address the health concerns of the patient. For example, when your patient (the mannequin) starts turning blue, you will need to assess why and make the right actions to prevent the patient’s health from declining by talking it through as you fulfill the task. Simulation lab is not a time to slack off. Take simulation labs very seriously. You will be handling real patients in your clinical experiences. Dress like a nurse. Remember to wear your Nightingale College uniform. The College provides scrubs to every learner for good reason. Show up to labs in your uniform and adhere to the other guidelines set for attending labs. No learner should show up in scrubs other than the approved Nightingale College learner scrubs. Additionally, learners are required to show up to lab (and clinicals) with scrubs that are neatly laundered and ironed. Wrinkly, dirty scrubs are never acceptable, especially for nurses. You’re in school. Where are your school materials? Bring your computer, notebook, and pen to lab to follow presentations on your computer and to capture important information. The notebook and pen ensure that you can easily jot down notes throughout lab so you aren’t wasting time typing or annoying a fellow nursing learner with your excessive typing. Part of lab is getting up and watching simulations done by the instructor or waiting in line behind fellow classmates to practice on the mannequin. Jot down notes as the instructor talks through the process and is aiding other learners. You can learn quite a bit from listening intently while the instructor is advising other learners. Be conscious of time and respect the time of others. Being on time is important to any career. Make it a priority to be at your scheduled lab on time so you don’t run in late and miss important information. Respecting others’ time helps create a collaborative environment where learning reaches new heights. Do your best to not detain the class from starting. It is a time to ask questions. If there were any time to pose a question in nursing school, it would be in simulation lab. Never hold back a question when it comes to a patient’s health. Often, registered nurses fear asking doctors for clarifications regarding a patient’s treatment; this is where mistakes happen. Learn to ask questions if you are unsure about the task at hand. However, learn to ask questions directly and quickly. The health care environment is fast paced and there is no time to stumble around a question. You’re a nurse. Bring your nursing equipment like your stethoscope and learner ID badge. Enough said. Simulation lab is a fun experience that allows you to finally practice care as opposed to read about it in your class materials. It is the part of the class that you gain the most experience from as you should always think in terms of action, not facts. Join your classmates in lab with a positive attitude. Simulation lab lasts a few hours and torpedoing the environment with negativity may keep other classmates from paying attention and positively engaging in the activities and post-lab discussions. Not to mention, your future patients will appreciate a positive and upbeat attitude. ‘Tis the season to unwind, reflect back on the year, and prepare for next year. However, it is also a time many people increase their level of stress. (Holidays can do that to a person.) Nursing school is stressful, but there are influences outside of school that can add to the stress that is already there. Learning to handle stress and alleviate it in a healthy manner is a skill that pays off in the long run and can be applied not only in nursing school. Take the time this season to focus on de-stressing. Listen to your favorite music. Take a break from studying, holiday shopping, or pesky relatives that talk politics to unwind. Lie down on your back, listen to your music, and breath. 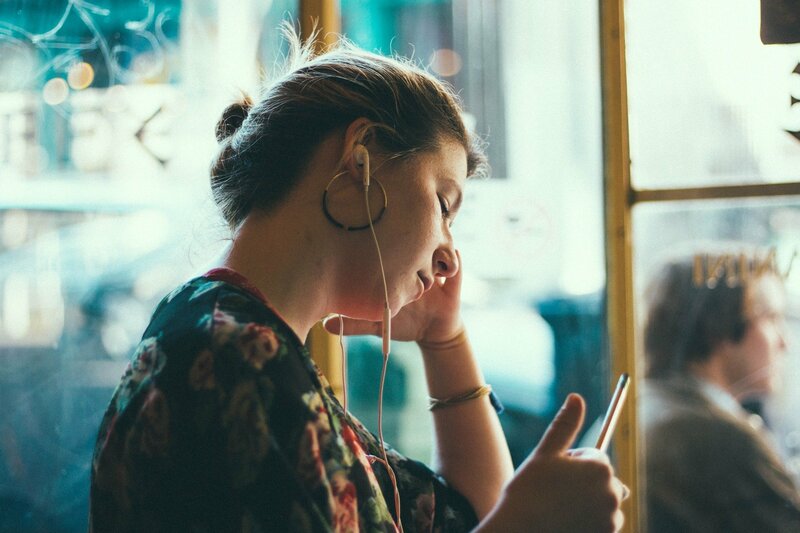 As a relaxation technique, music is shown to help people escape from stress. Another great musical tip, especially if you can’t focus in silence, is to listen to Hans Zimmer Pandora. The music has no distracting lyrics and the scores are intended to motivate and relax you. Stretch and meditate. Focus on how it feels to help eliminate stress. Many of us tend to study in awkward positions, hurting our necks and back. Rolling your neck and stretching your back will help you feel more comfortable and alleviate some of that stress in your body. The art of meditation is to calm the mind and focus on your body. Focus on breathing by taking deep breaths and escape the world for a few minutes. Stand up and get moving. If meditating is not for you or you have been sitting longer than 20 minutes, it is recommended to go for a short walk to refocus and get out of the slump. Plus, sitting for long periods of time is not advisable. Simply moving your body helps blood circulation as well as refreshes the mind. For example, when studying gets a bit tedious, taking a walk or getting up to stretch will do wonders. Do 20 jumping jacks, jump rope, or even just dance. Color away the stress. There are great adult coloring books out there as well as free printable coloring pages and apps designed to help adults relax. Placate the inner child and grab a coloring book. Coloring requires focus, design, and various colors. Set aside the tasks at hand or thoughts that are causing stress and try some color therapy. Coloring is said to develop focus and mindfulness. In a world filled with distractions and stress-inducing situations, learning to refocus is vital. Laugh it out. A popular technique is to just laugh. After all, laughter is the best medicine. Take a break and spend a few minutes watching or reading something funny. There is a lot of power in laughter. Ever heard of Norman Cousins? He laughed death in the face and defeated a painful disease that doctors said couldn’t be helped. Simply put, Cousins suffered from a connective tissue disorder, resulting in terrible bouts of pain. Doctors did what they could but in the end, Cousins continued to have pain. He checked in to a hotel and watched numerous hilarious videos. Cousins lived years longer than doctors suspected and experienced little pain after. Does it prove laughter has healing properties? No one knows, but what Cousins’ story shows us is the power of laughter. Act. Squeezing a stress ball or punching a pillow can help get some of that stress out that has been bottled up. People today find exercising a great stress reliever that motivates them to lift more weights than yesterday, run that extra mile, and do five more pull ups than before. Bottled up stress is dangerous to the person and those around them. To avoid snapping under pressure, find an outlet to channel the stress by getting active and using it as motivation to challenge yourself. It can be something as simple as punching a pillow or as intense as putting on a boot camp-style workout video and spending 15 to 30 minutes breaking a sweat. Write. For some, writing is a way of removing stress. Whether it is escaping into a fictional world or writing goals for the week, writing does amazing things to the mind when it comes to relaxation. Write down some of the things you or grateful for and reasons why your goal (of becoming a nurse!) is so important to you. This will help you focus on what is important in your life and be a visual reminder to you. Take a shower and wash off some of that stress. Sometimes to decrease the amount of stress is as simple as hopping in a shower. Showers and baths are therapeutic, which is why people recommend showers as a time to unwind. The hot water also helps improve blood circulation, relieves stiff muscles such as in the neck and shoulders (refer to point 2 above). Using some aromatherapy scents in the shower, like lavender, can be extremely helpful. Pet an animal. Animals are known to help alleviate stress. By petting or playing with an animal, oxytoin is released, which is known as the stress-reducing hormone. For example, therapy animals are widely used in a variety of settings. From treating Alzheimer patients to helping young children learn to care for an animal, animals have an incredible influence on humans. It must be those big eyes and loving heart that captures us all. Next time you find yourself ready to pull your hair out or dealing with an early mid-life crisis, remember to take a break and find activities that will decrease stress. Stress has been shown to decrease the immune system, influence hair loss, initiate weight gain, bring on depression, and other unfortunate outcomes. When all else fails, unplug yourself by taking a vacation, spending time with loved ones and friends, and enjoy the time. For situations that cannot be avoided, reward yourself after with a treat or event that will allow you to let go and slow down. day of orientation through graduation and beyond. favorite part about working here? Nightingale College has a great Mission and Vision as well as excellent Values. I love seeing learners achieve their goals. Many learners seek help from me with issues that most people would find very difficult to deal with even without the stress of school, but these learners are able to elevate above the road blocks and achieve greatness. I also love having the ability to be creative and finding new ways to help learners achieve their goals. I am proud to be part of the College. What is your one piece of advice to the learners and grads? Just keep swimming. Nursing school is very hard, then there is the next step of passing boards, then you have to go and get a job. We do have resources to assist you along the way, but it can still seem insurmountable. I very much enjoy cooking and creating new dishes. After a hard work week, I look forward to creating something delicious, exciting, and new. It relaxes me. I also enjoy all things science fiction and love reading the works of Jules Verne, H. G. Wells, William Gibson, Ray Bradbury, and H. P. Lovecraft. If you were to participate in a pageant, what would your talent be? I really enjoy singing, however, I’m not so sure that everyone else enjoys my singing, so I will have to say debating. I’m very good at arguing my point and backing it up with accumulated knowledge and statistics, then persuading others to see and agree with my point of view. Dreams, by the Cranberries- It’s about change, love, and overcoming fear. This song really speaks to me and encompasses the values that I hold dear. What is ONE things that you would like everyone to know about you? I would like everyone to know that I have my Master’s degree (MBA). I worked very hard in school and very proud of the fact that I graduated and finished my degree. Dress the part of someone who is successful in your chosen field. Make sure your clothing fits well, is neatly pressed, and is appropriate for the work environment. Greet your interviewer with a firm – but not bone crunching – handshake, and a warm smile. Sit up straight and lean slightly forward during the interview. Make regular – but not piercing or staring – eye contact. Show some energy and enthusiasm through your vocal tone. Analyze the requirements for your target job and be prepared to share at least five compelling reasons as to why you should be hired. Prepare anecdotes, stories and examples that show how you have tapped those strengths to be successful in your past jobs, internships, classes and activities. Describe specific situations or challenges, the actions you took to intervene, and the results which you generated. Pay particular attention to how you have positively impacted the bottom line in your past jobs – whether that was saving money, increasing sales, retaining staff, recruiting employees, securing funding or improving quality. Listen carefully to each question before jumping in with your response. Ask for clarification if you are unsure of what the interviewer is getting at. Carefully review your resume and be prepared to discuss challenges and successes in each position listed in your document. Rehearse answers to some typical interview questions, including the dreaded inquiry about your weaknesses. Be ready to explain in as positive a manner as possible why you left, or why you were asked to leave, any position on your resume. Make sure you research the employer thoroughly and know why you would like to work there. Let the interviewer know at the close of your meeting that you are highly interested in the job based on what you learned through the process. Make it clear that you would welcome the opportunity to work with them, or continue on in the process. Secure the name and email of each interviewer prior to leaving the premises. As soon as possible after departing, send a follow up email, card or letter which expresses your gratitude, briefly summarizes how the job is a good fit and references your heightened interest in the position. In addition to being sure that you are doing all the right things, it’s important not to do the wrong things during a job interview. Acting inappropriately during a job interview, or saying something that causes concern for the interviewer will hinder your chances of getting hired. Here are some things not to do when you’re interviewing. Criticize any previous employer, co-worker or supervisor. Make any false statements that could be discovered by your employer in the future. Share any weaknesses which are central to your target job. Make vague, unsubstantiated assertions about your qualifications. Show a preference for any single interviewer in a group interview situation. Act like a know it all. Check your cell phone during your interview. Arrive late for your interview. Enter the employer’s facility more than 20 minutes prior to the interview. Dress in too casual a manner. Act like you could take or leave the job. How do you view yourself? Who do you compare yourself to? Name of company, position title and description, dates of employment. Questions about your supervisors and co-workers. Have you worked with someone who didn’t like your work? What are your salary requirements – both short-term and long-term? Should employees use social media at work? What would you do if you found out the company was doing something illegal? What are the most significant trends in your field? Please rate me as an interviewer. How would you feel about working for a younger manager? More questions about your career goals. Behavioral Interview Questions In addition to being ready to answer these standard questions, prepare for behavior-based interview questions. This is based on the premise that a candidate’s past performance is the best predictor of future performance. You will need to be prepared to provide detailed responses including specific examples of your work experiences. Think your resume is ready to be presented to a potential employer? Make sure your resume is free of errors (grammatically errors, spelling errors, punctuation errors) and is not missing any important information that could jeopardize your chances or catch you off guard. Check out these 43 tips to resume writing, and put your best foot forward by getting started the right way. Some people write a resume as if the purpose of the document is to land a job. As a result they end up with a really long and boring piece that makes them look like desperate job hunters. The objective of your resume is to land an interview, and the interview will land you the job. Instead of creating a long (and boring) list with all your qualities (e.g., disciplined, creative, problem solver), try to connect each with actual life and work experiences. In other words, you need to back these qualities and strengths up, or else it will appear that you are just trying to inflate things. Most companies (even small ones) are already using digital databases to search for candidates. The HR department will run search queries based on specific keywords. Guess what? If your resume doesnt have the keywords related to the job you are applying for, you will be out even before the game starts. Keep in mind that these keywords will usually be nouns. Check the job description and related job ads for a clue on what the employer might be looking for. Like it or not, employers will usually make a judgment about your resume in 5 seconds. The most important aspect will be the titles that you listed on the resume, so make sure they grab the needed attention. Try to be as descriptive as possible by giving the employer a good idea about the nature of your past work experiences. It would be difficult to emphasize the importance of proofreading your resume. One small typo and your chances of getting hired could slip. Proofreading it once is not enough, so do it twice, three times or as many times as necessary. No employer will have the time (or patience) to read long paragraphs of text. Therefore, make sure to use bullet points and short sentences to describe your experiences, educational background and professional objectives. Including professional goals can help you give employers an idea of where you are going, and how you want to arrive there. You dont need to have a special section devoted to your professional objectives, but the resume must communicate it. The question of whether or not to highlight your career objectives on the resume is a controversial matter among HR managers, so go with your feeling. If you decide to list them, make sure the objectives are not generic. This point is valid both to the overall order of your resume as well as to the individual sections. Most of the time your previous work experience will be the most important part of the resume, so put it at the top. When describing your experiences or skills, list the most important ones first. First of all, make sure that your fonts are big enough. The smallest you should go is 11 points, but 12 points is probably safer. DO NOT use capital letters all over the place. Remember that your goal is to communicate a message as fast and as clearly as possible with the least amount of distractions. Classic fonts such as Arial and Times are always good choices. Merely stating that you can do something will not catch the attention of the employer. If you manage to explain how it will benefit the employers company, and to connect it to tangible results, then you will greatly improve your chances. Do not include information that might sound negative in the eyes of the employer. This is valid both to your resume and to interviews. You dont need to include, for instance, things that you hated about your last company.  are plain boring, and not efficient in selling yourself. Instead of listing responsibilities, describe your professional achievements. This tip is a complement to number 13 above. If you are going to describe your past professional achievements, it would be a good idea to make them as solid as possible. Numbers are your friends here. Dont merely mention that you increased the annual revenues of your division, but say that you increased them by $100,000, by 78%, and so on. One of the most common mistakes that people make is to create a standard resume and send it to all the job openings that they can find. Yes, it will save you time, but it will also greatly decrease the chances of landing an interview (and in reality it could even represent a waste of time). Tailor your resume for each employer. The same point applies to your cover letters. A good starting point that will help you tailor your resume for a specific employer is to identify what possible problems the employer might have at hand. Try to understand the market of the company you are applying for, and identify what kind of difficulties that field might be going through. Then, illustrate on your resume how you and your skills would help to solve those problems. It is illegal to discriminate people because of their age, but some employers do nonetheless. Why risk the trouble? Unless specifically requested, do not include your age on your resume. If you have job experiences that you are not proud of, or that are not relevant to the current opportunity, you should omit them. Mentioning that you used to sell hamburgers when you were 17 is probably not going to help you land that executive position. If you never had any real working experience, just include your summer jobs or volunteer work. If you dont have a degree yet, mention the title and the estimated date for completion. As long as those points are relevant to the job in question, it does not matter if they are official or not. Remember that you are trying to sell yourself. As long as you dont go over the edge, all the marketing efforts that you can put in your resume (in its content, design, delivery method, and so on) will give you an advantage over the other candidates. Irrelevant information such as political affiliation, religion and sexual preference will not help you. In fact, it might even hurt your chances of landing an interview. Just skip it. Seems like a no brainer, but you would be amused to discover the amount of people that lie in their resumes. Even small lies should be avoided. Apart from being wrong, most HR departments do background checks these days, and if you are, well, it might ruin your credibility for good. You will find plenty of useful information on job ads. Analyze not only the ad that you will be applying for, but also those from companies on the same segment or offering related positions. You should be able to identify what profile they are looking for and how the information should be presented. Even if you think you resume is looking superior, it would be a good idea to get a second and third opinion about it. We usually become blind to our own mistakes or way of reasoning, so other people will be in a good position to evaluate the overall quality of your resume and make appropriate suggestions. The ideal length for a resume is a debatable subject. Most employers and recruiting specialists, however, say that it should be one or two pages at maximum. Just keep in mind that, provided all the necessary information is there, the shorter your resume, the better. A very common advice to job seekers is to use action verbs. But what are they? Action verbs are basically verbs that will get noticed more easily, and that will clearly communicate what your experience or achievement were. Examples include managed, coached, enforced and planned. Action verbs are strong, hardy verbs. If you are going to use a paper version of your resume, make sure to use a decent printer. Laser printers usually get the job done. Plain white paper is preferred as well. It is a good idea to update your resume on a regular basis. Add all the new information that you think is relevant including courses, training programs and other academic qualifications that you might receive along the way. This is the best way to keep track of everything and to make sure that you will not end up sending an obsolete document to the employer. Your resume must have a clear focus. It would cause a negative impression if you mentioned that one year you were studying drama, and the next you were working as an accountant. Make sure that all the information you include will work towards a unified image and goal. Employers like decided and direct people. Do not jam your resume with text. Sure, we said that you should make your resume as short and concise as possible, but that refers to the overall amount of information and not to how much text you can pack in a single sheet of paper. White space between the words, lines and paragraphs can improve the legibility of your resume. If you have worked a long time for the same company (over 10 years), it could be a good idea to list all the different positions and roles that you had during this time separately. You probably had different responsibilities and developed different skills on each role, so the employer will like to know it. There are many websites that offer free resume templates. While they can help you get an idea of what you are looking for, do not just copy and paste one of the most used ones. You certainly dont want to look just like any other candidate, do you? It is very likely that you will end up sending your resume via email to most companies. Apart from having a Word document ready to go as an attachment, you should also have a text version of your resume that does not look disfigured in the body of the email or in online forms. Attachments might get blocked by spam filters, and many people just prefer having the resume in the body of the email itself. Do not use a colored background, fancy fonts or images on your resume. You might think that the little flowers will cheer up the document, but other people might just throw it away at the sight. You want to appear as professional, so keep this in mind as you are formatting your resume. You resume should not contain the pronouns I or me. We normally structure sentences this way, but since your resume is a document about you as a person, using these pronouns is actually redundant. The first thing on your resume should be your name. It should be bold and with a larger font than the rest of the text. Make sure that your contact details are clearly listed below. Secondly, both the name and contact details should be included on all the pages of the resume (if you have more than one). Nightingale’s Nursing Program is Now FULLY ACCREDITED by ACEN! Nightingale College is proud to announce that its Associate Degree Nursing (ADN) Program received an initial accreditation grant from Accreditation Commission for Education in Nursing (ACEN) through 2019. In addition, the College’s institutional accreditor, Accrediting Bureau of Health Education Schools (ABHES), renewed the College’s accreditation grant through 2018. Congratulations to all! Nightingale College thanks all the amazing individuals that brought about this final programmatic accreditation status. There is always one thing on a nursing student’s mind- how am I going to get everything done with so little time to do it in? Well, this blog hopefully will help you to know how to better manage your time. What is procrastination? It is where you decide to fulfill a goal and you postpone doing the things that are needed to fulfill that goal. Most people procrastinate because of fear, and it’s fear of multiple things; fear or failure, fear of rejection, fear of commitment, fear or success, ect. Many find procrastination to be rewarding at first, but eventually the procrastination will reach higher levels then it had before. To overcome procrastination, you need to not only make specific, realistic goals to achieve, but you need to find balance in your life. There are 3 areas of your life that need to be balanced: school, work and leisure. If you have a feeling of accomplishment or satisfaction in these 3 areas, then you are probably balancing them pretty well. If you have any negative feelings, or feeling like you do not have enough time for even one of these subjects, then you will need to re-examine how much time is spent on each subject, and then re-balance each subject. This blog post will give you suggestions and hopefully help you feel calmer in your every day life. If your pie graph does not look like this, then you need to re-evaluate where you are spending too much or too little time at, and then adjust your schedule accordingly. This is known as the “Increase-Decrease method” If the pie graph does not work for you, try to write a list of all the activities you are needing to do that day and how much time you should spend on each activity. Suggestion: Aim for half and hour increments at a time for each project you write down. Listing them out this way will make it seem more achievable. Also, keep a planner or a schedule on your phone or computer, this is a good way to make a list of all your activities for each day. Strive for balance: As stated above, make time for study, work and social time. Balance in these areas will keep the stress levels down a notch and bring you a feeling of gratification. day. And, whenever possible, try to manage all of your activities around the same time every day so you know exactly how your day is going to be planned out. until the entire project is completed. Establish good health habits: Eat healthy, nutritious meals. drink plenty of water, and shoot for between 7-9 hours of sleep a night. Sleep deprivation will slow the thinking process and will minimize how much you retain from your studies. These are just a few suggestions to help you better manage your time. If you’d like more information on time management, visit Study Guides and Strategies. few students to get their intake on how they balance life between school and personal life. Hopefully, this will help you to find out what works best for your schedule. Reference: Wong, L. (2000). Essential Study Skills (Third Edition). Boston, MA: Houghton Mifflin Harcourt. Develop study habits and strategies that are efficient. Manage your time wisely, don’t procrastinate your studies. Organize your study materials to better review them. Create a step-by-step approach, look at all aspects, to better help you prepare for each test. Look at your last test- what needs to be improved upon? What could you have done better? Review aspects of your last test. Looking at the test with a more confident appearance will help immensely. Take the test in stride- view it as an opportunity to show how much you studied and reward yourself after the test is done. Prepare yourself! Thoroughly examine and organize all materials before your test, use a checklist if necessary. Comfort while taking the test will ease your stress- pick a location with good lighting and little to no distractions. Do not cram information in right before the test- this will increase anxiety. Review all information well before the test. Enter the testing area early. Allowing yourself more time to relax before the test will help you to examine your surroundings, and help you pick a place with better lighting and fewer distractions. Separate yourself from other students who may not be as well prepared. Negative thoughts and expressions will make you question your preparation. Exercise. This will bring blood to the brain and will help your thinking function. A good night’s sleep will help you feel rested for the test. Eat healthy foods, feed your brain with fruits and vegetables. Stay away from processed foods, for they can disrupt the brain function. Take a snack or other form of nourishment to take your mind off your anxiety. Again, stay away from processed foods such as candy, that containing high grams of sugar. Read the instructions- don’t skim through them, actually read them. Check how long you have to take your test, then estimate how much time you can spend on each question. Change your body position to help you relax and focus. If you are stuck on a question and cannot figure out what the answer is, skip it and go on to the next one. If the test you are taking is an essay test, pick one question and begin writing. The answer may come to mind. Don’t get flustered if another student finishes before you do. It is not a race; take as much time as is available for your test. Make a list on what worked, it doesn’t matter how small they may seem, they are helping lead you to success. Make a list on what needs improvement. Celebrate that you are one step closer to overcoming this hurdle in your testing career! If you suffer with test anxiety, make sure to express these concerns to your instructor far in advance. They may be able to go over the material with you to help you feel more comforted in your studies. Nightingale College has just released three new commercials highlighting its mission to graduate students with Confidence, Competence, and Compassion! 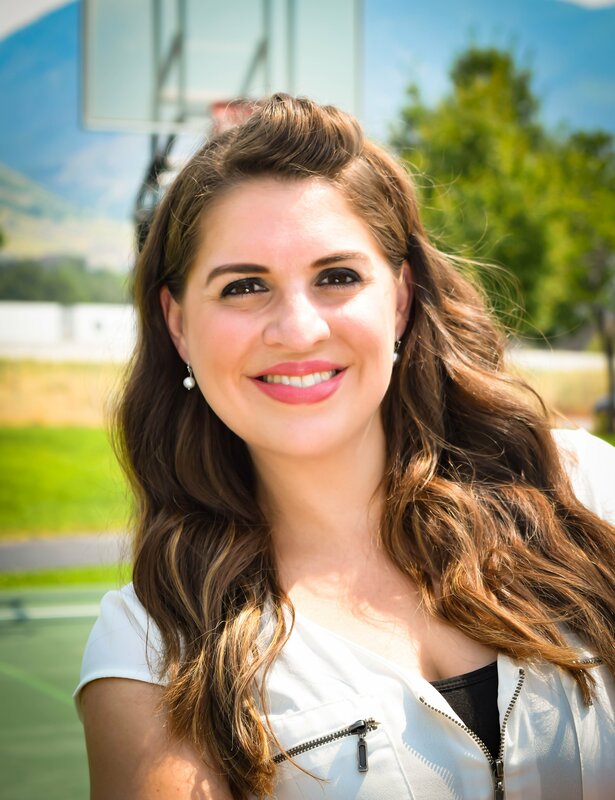 Nightingale College is the right choice for you if you are looking to go to nursing school in Utah. Our program is student centric and outcome driven. If you are looking to learn more about how to become a registered nurse and do so in just 16 months, call the Nursing Program Admissions team at (801) 689-2160 or request more information from our website. Our blended delivery of instruction increases the flexibility of being able to watch classroom instruction anywhere. Each student receives personalized attention during the clinical instruction. 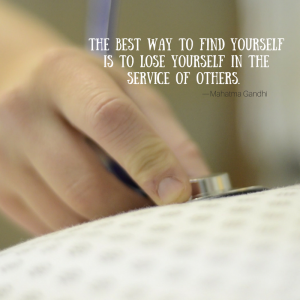 With no waiting list it is time for you to start your career in nursing. Nightingale College also offers qualified candidates a guaranteed acceptance into the next open semester. Our RN Program is perfect if you want to attend the #1 Nursing School of Choice in Utah. or request more information today! Nightingale College’s Give Back Day! that contributed to a successful Give Back Day.